Making your own essential oil roll on perfume recipes is a fun way to explore new scents. 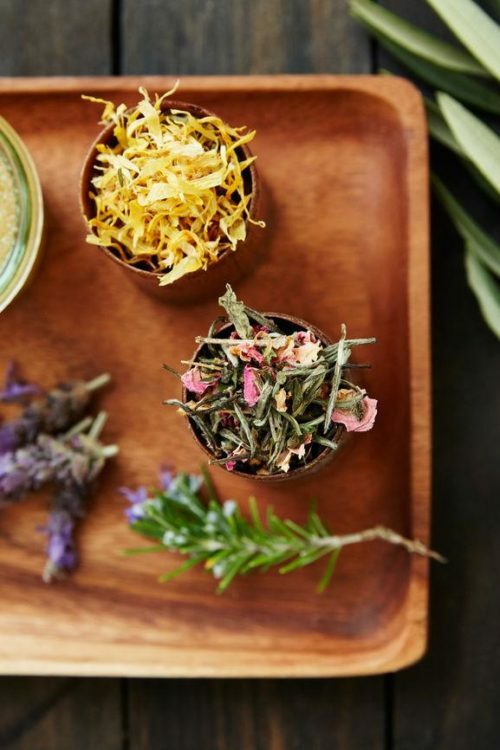 And while making custom perfume blends can seem daunting, it doesn’t have to be. Keep reading for some of my favorite perfume blends to use throughout the year. Plus learn how to use essential oil fixatives with your favorite fragrances to make your go to scents last even longer. To be honest, whenever I’ve tried to blend my own combinations of essential oils to create perfume it’s mostly failed. The whole base, middle, top note thing always throws me for a loop. So normally, I’ll buy natural fragrances online either through Etsy or a small artisan perfumery. I tend to fall for earthier fragrances when making a purchase, however I also love bright, fruity scents. The one scent blend I can’t tolerate, unfortunately, is anything with florals. So many florals give me a throbbing headache. (So I’m really not sorry that I never have to make tuberose scented soap again.) The same can be said for fake vanilla. 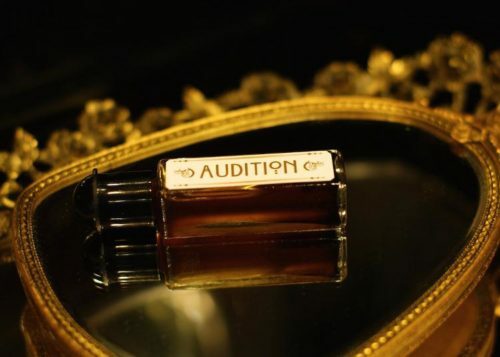 One of my favorite natural fragrances is Audition by Theater Potion. It contains a sensuous blend of chocolate and patchouli that I love. (And this from the girl who used to think patchouli smelled terrible.) It’s a wonderful mysterious scent with notes not just of chocolate and patchouli, but also coffee (another win!) tobacco, clary sage and cedar. Artfully crafted with a number of natural perfume fixatives (patchouli, cedar and clary sage) this natural fragrance lasts all day, much to my delight. What are essential oil perfume fixatives? While blending scents is not my strong suit, using a fixative in perfumery is much easier to understand. So what exactly is a perfume fixative? Basically, perfume fixatives are materials incorporated into a perfume formulation to slow down the degradation of more volatile oils used in your perfumes. This results in fewer changes to the scent as you wear it. 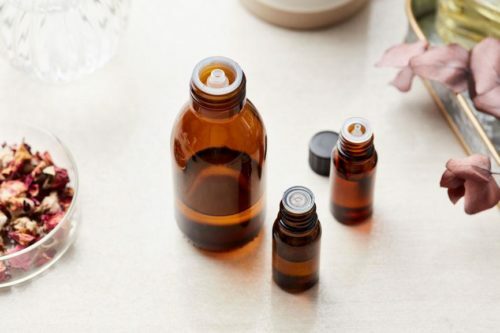 Used in trace amounts, natural essential oil fixatives not only help retain the scent of the perfume by slowing down evaporation rates, they also add their own unique scent note. You’re likely familiar with perfumes that boast a strong scent straight out of the bottle. However, you’ve found that you’re soon disappointed when that scent fades away faster than expected. A natural perfume fixative can slow down the evaporation rate of more volatile essential oils and fragrances. So they linger longer for your enjoyment. Which essential oils are fixatives? Ambrette Seed oil: Used for its lifting effect, this essential oil is best known for is sweet floral fragrance and musky wine like scent. Often used as a musk substitute, this natural essential oil fixative blends well with rose, neroli, sandalwood, clary sage, cypress, patchouli, oriental and other sophisticated scents. It is best used sparingly. Angelica Root essential oil: Used sparingly, this essential oil is best used as a base note fixative. Its scent is sharp, green and herbaceous with peppery overtones and has robust staying power and diffusive qualities. You’ll find it blends well with patchouli, oakmoss, clary sage, vetiver and citrus blends. Peru Balsam essential oil: A more commonly known essential oil, peru balsam is a wonderful fixative for floral essential oil based perfumes such as rose, heliotrope, magnolia, and lilac. It has a rich, balsamic, sweet vanilla-like undertone and adds a resinous note to a blend in perfumery. You’ll find that the soft aroma of peru balsam essential oil blends well with black pepper, ginger, jasmine, lavender, patchouli, petitgrain, rose, sandalwood and ylang ylang. 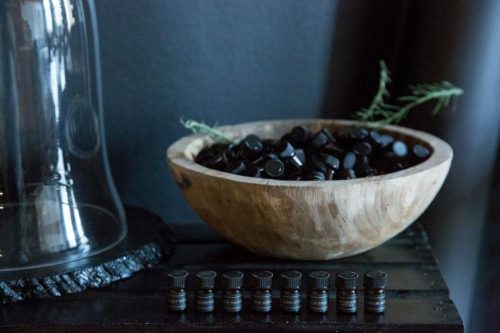 Atlas Cedarwood essential oil: Another common (and affordable!) essential oil, atlas cedarwood has a long history of use as incense and perfume. The wood was burned by the Greeks and Romans for its sweet tenacious, woody-balsamic scent with a warm camphor-like top note. This essential oil blends well with a number of essential oils bergamot, chamomile, clary sage, cypress, eucalyptus, jasmine, juniper, lavender, neroli, palmarosa, petitgrain, rosemary, sandalwood, vetiver, ylang ylang and other floral essential oils or bases. Cistus essential oil: Also known as Labdanum, cistus essential oil is used in natural perfumery for its rich aroma. A naturally strong fixative, its warm, sweet, dry and rich herbaceous fragrance blends well with bergamot, chamomile, clary sage, cypress, frankincense, lavender, juniper, oakmoss, opopanax, patchouli, pine, sandalwood and vetiver. Clary Sage essential oil: Clary sage has an extensive history in perfumery and works well as a fixative for perfumes of a more delicate bouquet. Its somewhat heavy scent is reminiscent of balsamic,tobacco, sweet hay and tea leaves. Used as a fixative for natural perfumes, clary sage adds a warm note to perfume oil blends. Additionally, you’ll find that clary sage blends well with bay, bergamot, black pepper, cardamom, cedarwood, chamomile, coriander, cypress, frankincense, geranium, grapefruit, jasmine, juniper, lavender, lemon balm, lime, mandarin, patchouli, petitgrain, pine, rose and sandalwood essential oils. Green Cognac essential oil: A specialty oil for perfumers, cognac essential oil is produced from the wine precipitate known as ‘lees’ – the yeasty residue left at the bottom of oak barrels after the fermentation and aging of Cognac. It’s commonly used to add lift and fresh, fruity natural notes to men’s colognes and aftershave fragrances. However, it’s also a tenacious fixative. Used as a middle note in natural perfume formulations, cognac has a strong fruity yet green herbaceous odor and blends well with ambrette seed, bergamot, clary sage, coriander, neroli, galbanum, jasmine sambac, lavender, lotus pink absolute, rose maroc absolute, rose otto and ylang-ylang. Frankincense essential oil: Frankincense, like cedarwood essential oil, has a long history of use in incense and other perfumery applications. This oil boasts a fresh, woody, spicy, balsamic fragrance with a citrus top note. When used with citrus blends, frankincense modifies the sweetness of the scent in a unique way. Commonly used in conjunction with heavier fragrances, this natural essential oil and fixative blends well with basil, black pepper, bergamot, galbanum, geranium, grapefruit, lavender, orange, melissa, neroli, patchouli, vetiver, sandalwood and other spice oils. Galbanum essential oil: Galbanum essential oil also has a long history of use as incense. While the resin may be burned, the oil is often used as a natural essential oil fixative in perfumes. A wonderful modifier with a fresh, woody, spicy and balsamic damp woods scent, this essential oil blends beautifully with lavender, oakmoss, fir, elemi, jasmine, liquidambar, frankincense, palmarosa, geranium, ginger, rose, verbena and ylang-ylang. Myrrh essential oil: A common fixative in the fragrance industry, myrrh essential oil has a dry, creamy and resinous aroma. Think smoky woody or warm sweet balsamic with a slightly spicy medicinal odor. You’ll find that myrrh is an excellent fixative for heavy floral essential oil perfume blends. It’s especially nice when blende with violet, white rose, and lavender. However this essential oil also works well with frankincense, sandalwood, oakmoss, cypress, juniper, mandarin, geranium, patchouli, thyme, mints and spice oils. Oakmoss absolute: Extracted from the lichen that grows on oak trees, oak moss has a heavy earthy, bark like aroma. Its tenacious fragrance has a high fixative value and blends well with most other oils to add body and rich natural undertones. However, this oil is particularly nice when mixed with anise, bay, bergamot, clary sage, eucalyptus, ginger, lavender, lime, orange, palmarosa, tea tree, vetiver or ylang ylang. Orris Root essential oil: Orris root essential oil has an extensive history of use in perfumery dating back to the 1700s. Prior to that, however, the root was used by ancient Egyptians as a body spice, incense and perfume. Its delicate aroma boasts a sweet floral woody scent that blends well with carnation, cassie, cedarwood, bergamot, vetiver, cypress, geranium, mimosa, labdanum, clary sage, rose, violet and other floral based oils. Patchouli essential oil: Best known as an incense and base note in perfumery, patchouli essential oil possesses a strong, rich earthy odor that is considered to improve with age. It can be used in oriental bouquets as well as natural blends that contain bergamot, black pepper, cassie, cedarwood, cinnamon, clary sage, clove, elemi, frankincense, galbanum, geranium, ginger, jasmine, labdanum, lavender, lemongrass, myrrh, neroli, oakmoss, orris, rose, rosewood, sandalwood or vetiver. Sandalwood essential oil: Sandalwood also has a long history of usage in natural perfumery. However, as traditional Indian Sandalwood has been considered a vulnerable species since 1998 due to disease, fire and exploitation through illegal activity. Australian Sandalwood represents an ecologically responsible alternative to traditional Indian Sandalwood. Sandalwood essential oil is a base note with a soft, woody balsamic and extremely tenacious aroma. It blends well with violet note perfumes in addition to bergamot, black pepper, cassie, clove, geranium, jasmine, labdanum, lavender, myrrh, oakmoss, patchouli, rose, rosewood, tuberose, and vetiver. Vetiver essential oil: Vetiver has had a multitude of uses over the years. In addition to natural perfumery, this essential oil has also been used to scent fabric. While vetiver root is often woven into baskets, mats and window coverings. Its scent is best described as woody, earthy and heavy with sweet undertones. You’ll find that vetiver blends well with frankincense, patchouli, oakmoss, sandalwood, violet, ylang-ylang, galbanum, geranium, jasmine, lavender, clary sage, cassie and rose. Violet Leaf absolute: This pleasant green absolute is widely used in the perfumery industry for its grassy cucumber-like scent. Its dry, strong, fresh green leaf odor has a subtle floral undertone. Even in when used in low concentrations it offers tremendous diffusion and adds elegance to certain floral blends such as hyacinth, muguet and high-class chypres. This natural plant extract blends beautifully with sandalwood, frankincense, lavender, rose, jasmine, tuberose, clary sage, cumin, basil and most citrus oils. An easy way to start using fixatives with your natural essential oil roll on perfumes. If you’re still gun shy about incorporating fixatives into your natural essential oil roll on perfume blends, don’t worry. You don’t have to come with your own recipes. Nor do you need to invest in expensive essential oils you may use only once or twice. There’s actually an easier, more affordable way to add a fixative to your existing stash of fragrances! How? By purchasing a pre-made natural perfume fixative. Wild Veil Perfume sells an entire line of ready made perfume fixatives. 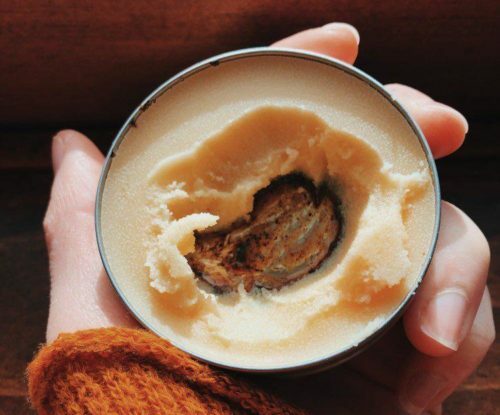 They come in little tins like lip balms or salves, with a similar consistency. Formulated ahead of time so there’s no guesswork, you simply apply a perfume fixative to pulse points before adding your favorite essential oil roll on perfume or fragrance. 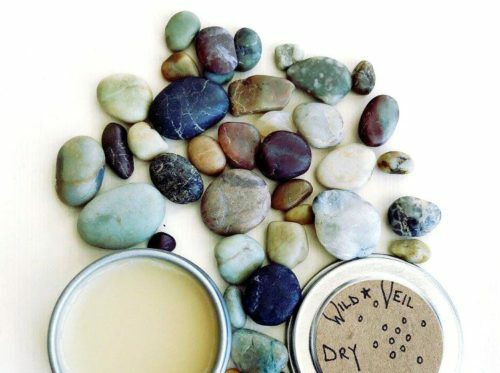 What is basically a primer for natural essential oil based perfume and colognes, Wild Veil Perfume’s creamy fixative compounds contain their own fragrance composed exclusively of base notes, in an organic emulsion of raw beeswax, cold pressed natural oils, and unrefined, raw butters. Available in an extensive variety of base notes, these fixatives not only slow down the evaporation rate of your favorite perfumes, they double as a moisturizer. Simply apply and wear them alone or in layers with your favorite essential oil roll on perfumes. Where to buy essential oil perfumes. As with even commercial synthetic fragrance blends, perfumes comes with a cost. And investing in the essential oils to make your own can get expensive fast unless you’re slowing growing your collection over time. If you’re not ready to dive into a huge investment, you can buy a wide array of essential oil artisan perfumes to fit your unique tastes. Following are some of my favorite essential oil perfumes from artisan perfumers. The collection of essential oil perfumes from Two Bird Perch are perfect for anyone moving toward living a natural green lifestyle. I’m currently crushing on their “Quirky” essential oil roll on perfume. A natural blend of patchouli, bergamot and sweet orange, this blend can enhance mood, alleviate stress and promote happiness. You can discover this light, uplifting and unique scent for yourself by visiting their Etsy shop here. Or try one of fifteen unique, natural fragrance blends from LVNEA. Their best selling natural perfume sampler is an affordable way to explore a wide array of natural scents. 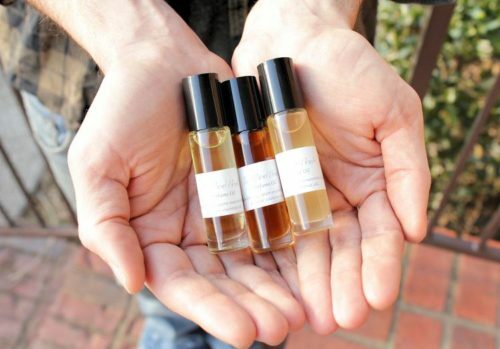 You may also be interested in the perfume sampler set from Barefoot Apothecary. 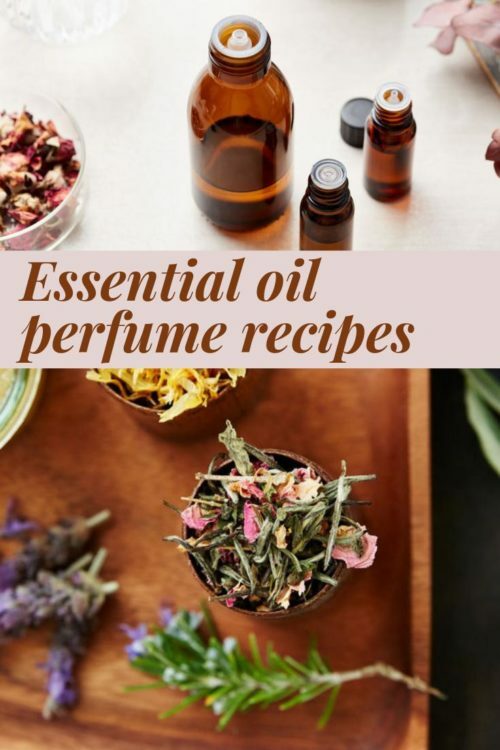 For even more essential oil perfume options, visit my collection of favorite, natural artisan perfumeries and fragrances here. For more natural bath and beauty recipes, follow Soap Deli News on Blog Lovin‘, facebook, twitter and instagram. Or sign up for my semi-weekly newsletter. I will definitely make citrus crush and tropical fruit, they must smell heavenly. I love the citrus oils and rosemary; so uplifting and brighten my day! Also, prefer frankincense oil that has anti-inflammatory effects that may help reduce joint inflammation caused by osteoarthritis and rheumatoid arthritis.